Over the last decade, INGLOT Cosmetics has expanded internationally to over 600 stores – establishing an industry-leading presence as one of the most successful makeup companies in the world. Originating from Poland during the collapse of communism in the 80’s, this company has grown to become a global beauty authority in high quality color cosmetics. If you’re able to visit one of INGLOT’s stores (particularly their megastore in Times Square), you will see exactly why I refer to this cosmetic line as the brand of endless possibilities. 1) Freedom System Palette: This is a beautifully packaged new beauty essential. For an every day beauty look, one could have 3 high quality eyeshadows, 1 brow color, 2 cream concealers, 3 lipstick shades, and 1 lip gloss – all encompassed in one uniform “do-it-all” compact palette. With less mess and less space in contrast to carrying numerous separate products, there is nothing not to love about the Freedom System. 2) O2M Breathable Nail Enamel: In addition to having an endless color charged array of hues to choose from, this nail polish is created using a highly advanced polymer that allows oxygen and water to pass through – sustaining the health and natural beauty of the nail. O2M Breathable Nail Enamel is dries quickly and applies more seamlessly when used after O2M Breathable Nail Base. For a longer wear of the nail, apply O2M Breathable Top Coat as a last step. 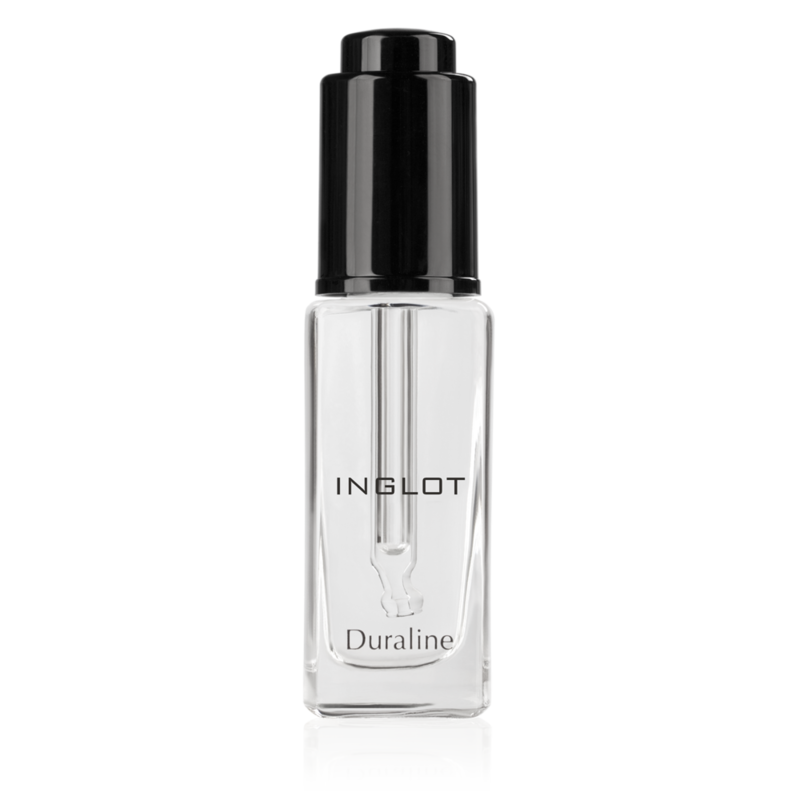 3) Duraline: Adding a single drop of this magical liquid to any of INGLOT’s Pure Pigment Eyeshadows will instantly transform the powder into a water-resistant, highly pigmented liquid. This is a great product to use to mix eyeshadows together to create endless eyeshadow possibilities. For superior quality products at outstanding prices, do not hesitate to give this trend-setting brand a try. INGLOT Cosmetics can be purchased at your nearest INGLOT store location, or purchased online by visiting their main website at www.inglotcosmetics.com and selecting your country of residence via the e-shop tab.